The requirement of trained and skilled labor never declines. In the coming years, many countries might face the shortage of appropriate labor. This is the perfect time for countries like India to capture the market. 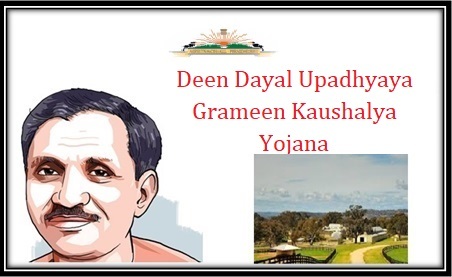 The central government has thus implemented the scheme named Deen Dayal Upadhyaya Grameen Kaushalya Yojana or the DDUGKY to provide the poor youth with the required training that will assist them in getting jobs. Training for the poor for free – As per the guidelines of the scheme, the central government will provide the selected candidates with vocational training for making them capable of taking on various kinds of jobs. The trainings will be provided free of cost. Including the minorities – Reservations have been made for including the people who belong to the backward classes and minority groups. The program has reserved 50% seats for the ST and SC candidates, 15% for the minority candidates and 33% for female candidates. Importance on career progression – Along with vocational training, the institutes will also assist the candidates to progress on the path of career progression. The institutes will assist in finding right jobs for the trained candidates both inside the country and outside. Job incentives will also be given. Post- Placement assistance – Apart from providing placement opportunities, the government will also assist in giving assistance after the placement has been finalized. Expenditure on the trainees – It has been estimated that the government will have to shell out anything between Rs. 25,696 to over Rs. 1 on every trainee. Duration of the courses – All the training courses will range from a minimum of 3 months to a maximum of about 12 months. Any course that extends beyond the time frame will not be covered by the authority financially. Standards-led Delivery – The responsibility of checking the parameters and quality of the training, imparted to the people will be measured by institutes, which have been affiliated by the center. No local inspection will be allowed. Providing regional focus – Though the scheme will be implemented in all parts of the country, special attention will be paid to the states like Jammu and Kashmir and other states or districts, which are suffering from massive backwardness. People belonging to the poor families – As per the rules of the scheme, only those candidates will be able to participate under the scheme who belong to BPL category. Thus, the program will assist the poor youth in acquiring training and jobs after the completion of the training. Age related criteria – It has been mentioned in the draft that only the youth will be able to participate in the scheme. The lower age limit has been fixed at 15 years while the upper age limit is 35 years. It is for the general caste but the upper age limit for the minorities, SC, ST, and physically disabled people has been fixed at 45 years. Cast related criteria – The scheme will give preference to the people belonging to the SC, ST, OBC castes. The minority communities will also have representation along with the candidates who have physical disability. The reservation percentage will be decided by the respective authority. Active bank account – As the stipend to the students and the grant to the associations providing the training will be provided through bank transactions, the presence of an active bank account for both parties must be present. Industrial interns – All candidates who are acquiring skill development training in the industries will be paid a stipend of Rs. 3000 on a monthly basis. The amount will be sent to the candidate through the bank account. Additional allowance for day trainees – All the trainees who have only opted for day training will be provided with an additional allowance of Rs. 50 on a daily basis. It will be given for meeting the food and transportation costs. Grant for the institutes for normal trainees – For the purpose of training and related progression, the PIAs will be given an amount of Rs. 5000 for every candidate who is getting the training. The grant will be given on the basis of trainees who secure a job that pays them a salary of Rs. 15,000. 4. Grant for live distance training – In case the trainees are opting for live distance training, the government will pay the PIA a grant of Rs. 500 for every candidate. Grant for counseling of candidates – It might so happen that the candidate secure a job in other countries, after the completion of the training. For these candidates, the PIAs will have to hold counseling sessions. The institutes will get a grant of Rs. 10000 for every candidate getting the advising. Grant for industrial trainees – All the candidates who are opting for training from the industrial sectors and also get boarding facilities will fetch the institutes an amount of Rs. 5000 as associated costs on a monthly basis. In addition to that a travel allowance of Rs. 4500 will be granted to the PIAs. Project Funding Assistance – All the training projects, which will be undertaken by the scheme, will require monetary assistance from the government. It is the responsibility of the authority to estimate the cost that will be incurred per person on the basis of training type and duration. All the institutes which have a high reputation and a grade of at least 3.5 will be able to apply for providing the training. Training Requirements – All the institutes providing the training will have to design the rules and regulations, which have been specified by the National Council for Vocational Training and Sector Skills Councils. The training will have to be related to around 250 sectors, which have been highlighted under the scheme. But the institutes will have to place at least 75% of the total number of candidates successfully. The courses must be associated with such trades and soft skill developments, which have a high demand and relevance in the current scenario. Training Quality Assurance – The requirement for the development of vocational skills and general education has been understood by the central government. Thus, they passed the National Policy on Skill Development in 2009. It is necessary that the evaluation of the viability of the scheme is done so that the candidates get employment after completing the training. The task of doing this evaluation is placed on the shoulders of National Skills Qualification Framework. The trainings will be compared with the international training standards with the institutes which have been affiliated by government bodies like NCVT or SSCs. The process of applying under the scheme will have to be done online. The application form is available on the authorized website. It can be acquired by clicking on the link http://ddugky.gov.in/apply-now. The interested candidate will have to type in the name of the PIA under which he/she wants to acquire the vocational training. The particular filed marked as “Name” must be filled in this regard. The next field is marked as “Address” and here, the candidate will have to type in the official address. Next the candidate will have to type in the name of the stat from which he/she belongs, followed by the name of the district. As the process will be done online and the details will be sent to the candidate via mail, he/she will have to type in the official mail ID in the next filed. Then, the candidate will have to provide details of any legal document that contains the personal identification details of the person. For this, the candidate will have to click on the drop down arrow and choose accordingly. Then the candidate will have to provide the contact details. Though providing the landline number is not mandatory, the candidate will must possess an active mobile phone. The mobile number is mandatory. The next section deals with the type of industry, where the candidate desires to join for attaining the skill development trainings. Clicking on the drop down arrow will activate the sectors and the person needs to choose accordingly. The selection of the job role is must be done in the same manner. Then the candidate will have to attach a scanned copy of a photograph. It must be a passport sized photograph. The file format must be png, gif, jpg, or jpeg and the size of the file must not be more than 2MB. With the successful implementation of the welfare program, the central government will be in a better position to meet the job related requirements of the youngsters of the country. The training will help the poor in making themselves suitable for meeting the requirements of the job sections. Various development schemes have been taken into consideration by Gujarat. It has been further stated that Prime Minister would give away certificates and employment letters to the beneficiaries under the schemes. Some of the schemes are Mukhya Mantri Gramodaya Yojana, Deen Dayal Upadhyay Grameen Kaushal Vikas Yojana, and National Rural Livelihood Mission. In addition to this, appointment letters and mini-ATM facilities would be provided to women bank reporters.